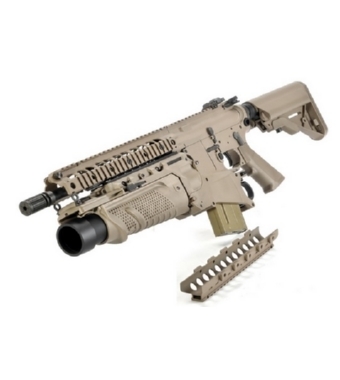 PRODOTTO DALLA VEGA FORCE COMPANY, FUCILE ELETTRICO MODELLO SR15 E3 RIS CQB TAN VCF BLASTER FULL METAL. UTILIZZA BATTERIE CQB 8,4V 1200mAh (NON COMPRESE), CARICA BATTERIA 220V 300mA (NON COMPRESO). GUSCIO IN METALLO CON LOGO SERIGRAFATO, 5 SLITTE IN METALLO PER IL FISSAGGIO DI ACCESSORI, CALCIO CRANE, TACCA DI MIRA POSTERIORE RIMOVIBILE E REGOLABILE, IMPUGNATURA SOTTOCANNA, LANCIAGRANATE EGLM, VALIGIA RIGIDA PER IL TRASPORTO, COPRI RIS.